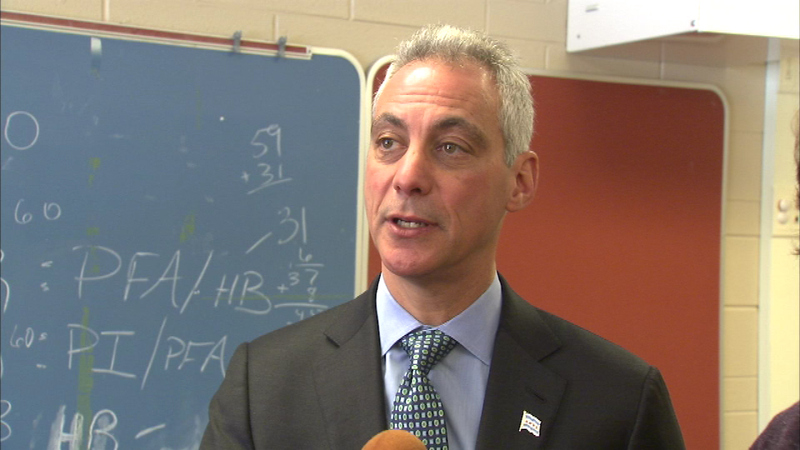 CHICAGO (WLS) -- A clearly excited Mayor Rahm Emanuel spoke in glowing terms Friday about this year's Cubs team. The mayor tried to place a friendly wager on the Cubs series with St. Louis Mayor Francis Slay - but Slay turned down the bet. Emanuel wanted to put up a Lou Malnati's pizza Harry Caray's chicken vesuvio, Eli's Cheesecake and tickets to the Willis Tower Skydeck if the team lost.